Riversong says that its power banks come with multiple safety protection in three variants: ‘Ray 5’, ‘Ray 10’, and ‘Ray 20’. Riversong has launched ‘Ray Series’ ultra-lightweight power-packed power banks in three variants. The 'Ray series' Power Banks can be recharged using both USB Type-C cable and Micro USB cable. Riversong, India’s fastest growing smart gadget brand, launches ‘Ray Series’ Power Banks to breathe-in new charge to mobile devices. The ultra-lightweight, power-packed, slim and pocket-fit power banks from Riversong with multiple safety protection come in three variants of ‘Ray 5’, ‘Ray 10’, and ‘Ray 20’. The 'Ray series' Power Banks can be recharged using both USB Type-C cable and Micro USB cable, helping the user to conveniently use the same cable to charge the phone and the external power bank. ‘Ray series’ is more than just power banks with its over-voltage, over-current, and short circuit protection systems. 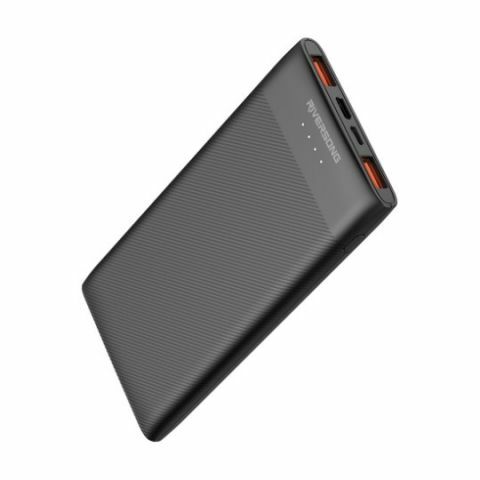 On one hand, ‘Ray 5’ serves as a pocket-sized elegantly designed power bank adds to the battery power of your smartphone, whereas, on the other hand, the colossal 10000mAh ‘Ray 10’ and ‘Ray 20’ can charge devices simultaneously serving as an ideal travel companion with its enormous capacity.